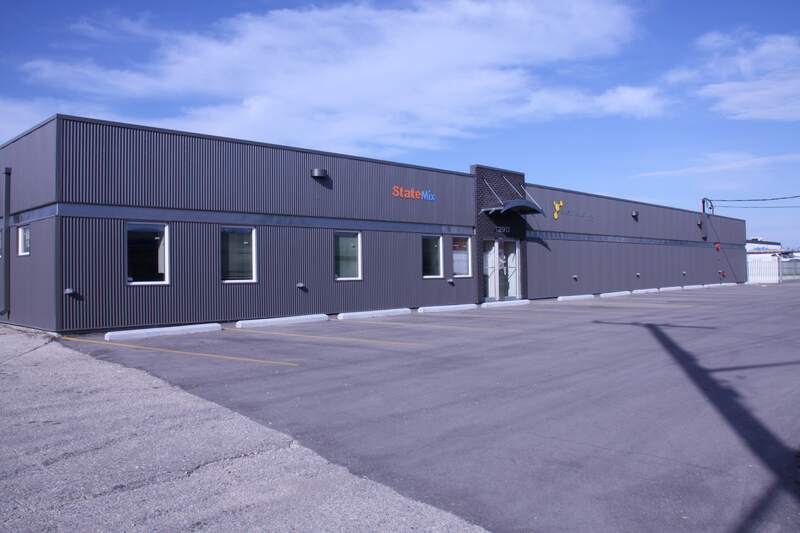 State Industries is a world wide supplier and manufacturer of premier cast-polyurethane products for over 40 years. The produce parts for the military, agriculture, automotive and mining industries as well as numerous other sectors. They also have a CNC division which enables them to provide water jet cutting and CNC machining services for a variety of materials. 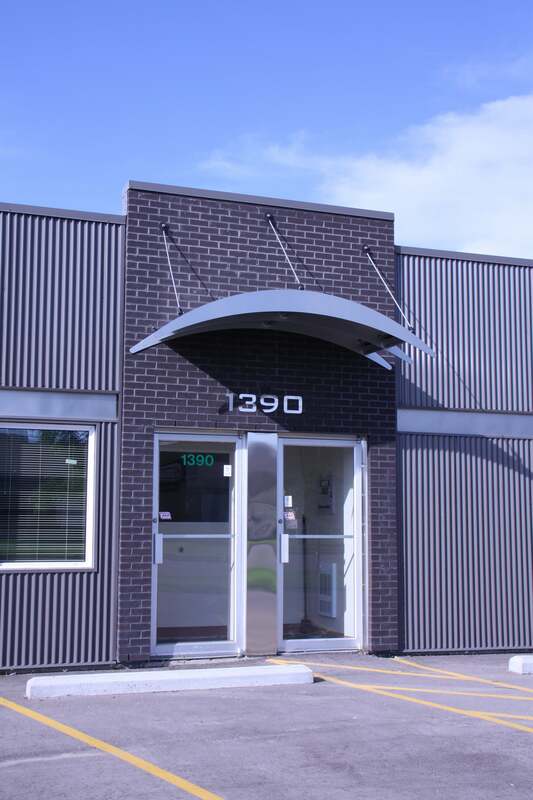 This manufacturer of durable polyurethane elastomer products urgently needed an exterior face-lift to their older concrete block building. The use of metal cladding applied to the block wall surface and accented with a horizontal galvanized band, gives this building a modern, up-to-date look. The entrance doors are highlighted with dark concrete block and a small galvanized contemporary arch.